The actress got behind the camera for the powerful film that's now available on all digital platforms. The growing epidemic of skin-beaching shows no signs of slowing down and actress LisaRaye McCoy tackled the subject in her directorial debut, Skinned. The film is a character-driven drama that stars Jasmine Burke, Cicerly Ash, and Drew Sidora and follows a young lady whose insecurities about her skin color, misconception about beauty, and search for romance causes her to bleach her skin beyond recognition in an attempt to capture the heart of the perfect suitor, leads to the detriment of her health. Fast forward 10 to 15 years later, she is a beautiful model with a wonderful husband, but discovers that she has developed some complications due to the chemicals found in certain skin bleaching creams. To make matters worse, her husband discovers her damaging little secret. Now, with the assistance of a psychiatrist, Jolie must go on a journey into her past to face her demons in an effort to sustain her future. Look no further than the small screen to see people falling victim to the pressures of colorism. Most recently, Love & Hip Hop Atlanta star, Spice, made headlines when she debuted a dramatically lighter complexion in promo photos for her upcoming mixtape. 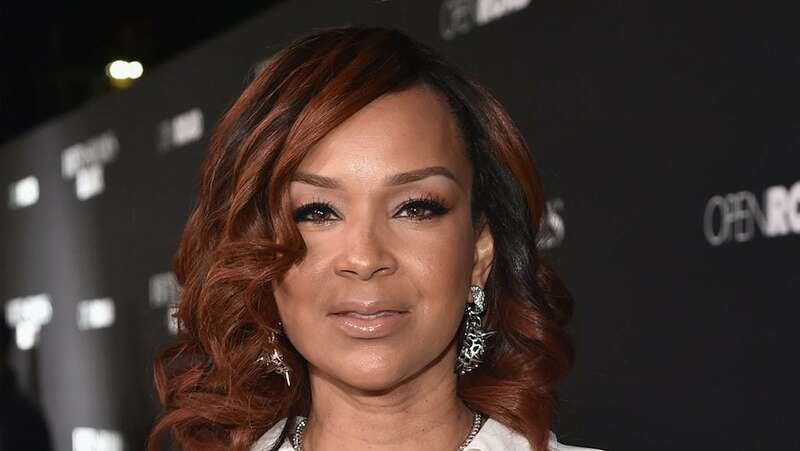 We caught up with LisaRaye McCoy to find out what attracted her to the film and to get her thoughts on the ongoing culture of colorism within our community. “I think it’s a cute dynamic that they asked me to direct it as a light-skinned black woman,” McCoy told TheGrio during an exclusive interview. LisaRaye McCoy revealed that she was surprised to learn that skin-bleaching is a phenomenon that has spread all across the world. “There are so many people who have bleached their skin. I didn’t know it was an epidemic in Africa and the Caribbean. It happens here too. I think the script covers all of that,” she said. Aside from the mental and emotional toll colorism has on Black folks, there are also physical dangers to skin-bleaching that are seldom discussed. “You can go to CVS or Duane Reed or Walgreens and find products on the shelves that will lighten your skin and the ingredients are not good for you. Skin-bleaching can cause cancer,” McCoy explained. Skinned is now available on all digital platforms.